to start fresh so she received a good sanding first. 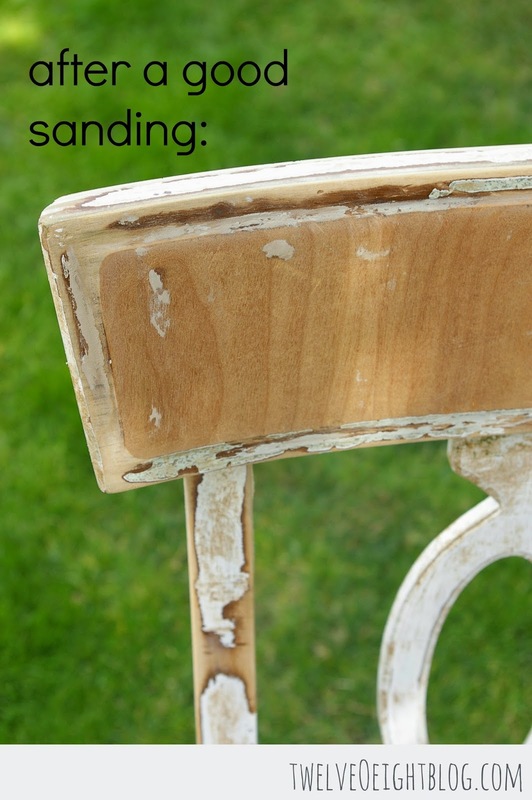 Yep, that’s after a good sanding too. 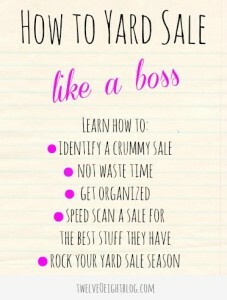 tip when buying furniture at yard sales from last week’s How To Yard Sale Like A Boss. think they can fix anything. 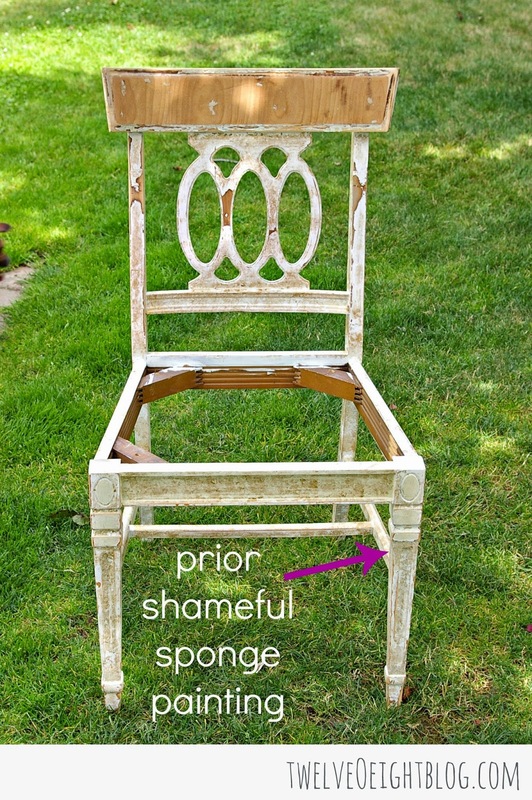 But it gave us a fun memory, and one sturdy chair to repaint again and again. and a super fun orange modern fabric I found at Jo-Ann’s a while ago. I read the directions from cover to cover so I would have a good working knowledge of the sprayer. kind of fly by the seat of my pants. It doesn’t always work so well. protect her new white paint, she was looking amazing! will probably be an IKEA tv console table hack. It’s bor-ring and needs an update! sure I used less paint too since it was in the spray container and not sitting in a dish. especially for some of your larger projects, I am very pleased with this one! Have you tried using a sprayer before? Tanya, Holy Cow you made this chair look brand new! What a beautiful transformation! I haven’t used a sprayer before, but I definitely want too! Thanks for sharing at The Makers and I hope you have a great week! You are too kind friend, thank you!! Love how this chair turned out! Great makeover. And good tips on using a paint sprayer – if I ever get one it will totally make my life easier!! I thought I was the only one! I have a Wagner still unopened in its box for years now. Lol!! I’ve gotten such a good rhythm with using a brush so I haven’t bothered. 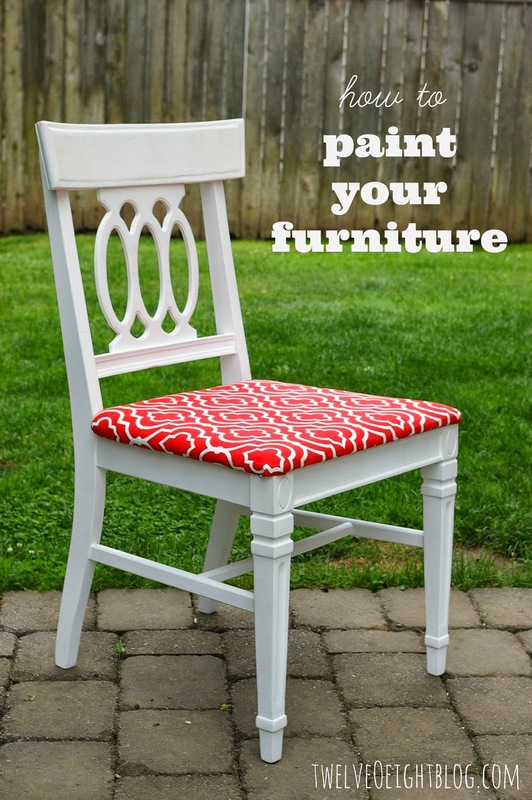 Love your chair and the fabric contrast against the chrisp white. Such a lovely job! Thank you so much Ashley, I can’t wait to work on my next project. She looks as pretty as a clam. Very nice job and where will she be sitting in the house. My she live long and prosper. users to go to see the website, that’s what this web page is providing.